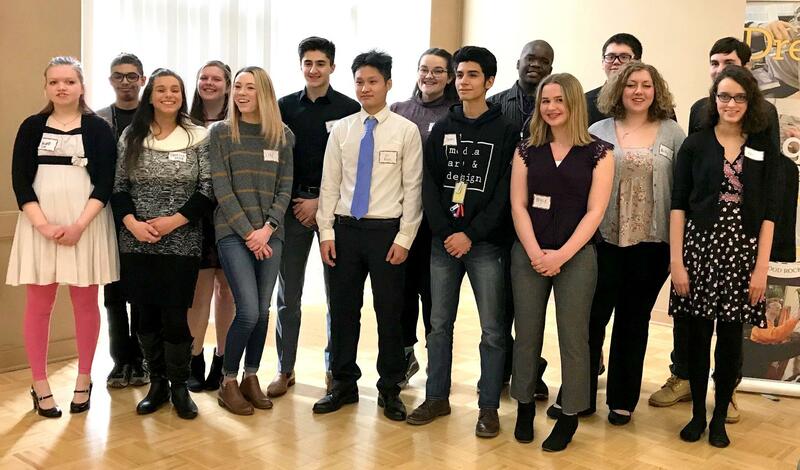 Outstanding students in the West Shore Career-Tech program were recognized by members and guests of the Rotary Club of Lakewood and Rocky River at the club's March 19 meeting. West Shore Career-Technical District Outstanding Student Award recipients were honored by the Rotary Club of Lakewood and Rocky River at its noon luncheon on March 19 at the Don Umerley Civic Center. Two new members have recently joined the Rotary Club of Lakewood & Rocky River. Norah Sullivan is owner of Resolution, a management services organization providing program development and management support generally associated with the challenges of running a business, including accounting, legal research, due diligence, editing, contracts, licensing agreements, IP patent litigation and prosecution. Norah was proposed for membership by Mark Bacon. She lives in Rocky River. Tim Carney is district manager of Corrigan Moving Systems in Sheffield Village. As a residential sales consultant, Tim meets with potential customers inside their homes and around their property to consult them on the moving process. Tim and wife, Sarah, live in Lakewood. He was proposed for membership by Tom Turner. Mark your calendar for our Cleveland Indians outing on Tuesday, June 5, against the Milwaukee Brewers. The game will start at 7:10 p.m. and will feature a duffle bag promotion to the first 10,000 fans. Seats will be club level. Located above the first-base line, club seats are a prime outdoor location with access to the climate-controlled Club Lounge, located directly behind the seating area. All club seat tickets include all-inclusive food and non-alcoholic beverages available in the Club Lounge. Approximately 40 tickets will be available. Members must provide their own transportation to and from the ball park. See Jon Clark for more information. Participants are invited to swim, aqua jog or water walk. Those wishing to make a donation to either organization should contact Harlan Radford, event coordinator, at harlanrjr@yahoo.com or (440) 376-5180. The recreation facility is located at 21012 Hilliard Blvd. There will be free refreshments and certified lifeguards on duty. Special Spaces is a non-profit organization that gives children with life-threatening medical conditions a dream bedroom makeover. The aquatic therapy scholarship program will benefit the families of children who attend the autism center who demonstrate financial need. Community West Foundation will manage the grant process. Additional information is available by contacting Mr. Radford or Amy Klima, Rocky River civic center aquatics manager, at aklima@rrcity.com or (440) 895-2591. Special Spaces Cleveland completed its first room make-over just one week ago. It was truly the most fun and gratifying experience I've ever had. Two more rooms have been approved. One is for an eleven year old girl named Lila. Lila has common variable immune deficiency (CVID), a disorder that impairs the immune system. People with CVID are highly susceptible to infection from foreign invaders such as bacteria, viruses and often develop recurrent infections, particularly in the lungs, sinuses, and ears. At photo of Lila is below. Lila has been hospitalized more than 50 times and often becomes septic. She has weekly treatments that make her uncomfortable and cause her pain. She is also on heavy doses of steroids that have caused her weight issues, affecting her self-esteem. 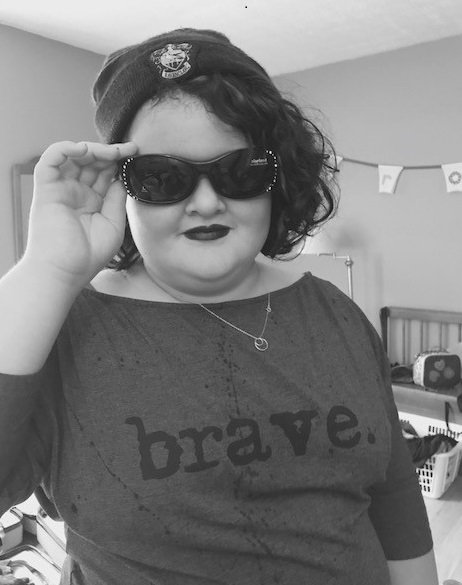 Lila's dream room would be filled with books and reading nooks. She has shared her book list with me; warning, it is quite a list. Please consider looking at the list and ordering her a book. She does prefer hardcover books because she loves the way they feel and smell. If you have any of the books and they are in like new condition, those will work, too. Here is a link to SignUpGenius allowing you to review Lila’s book list and to sign up for any books you are willing to furnish: http://www.signupgenius.com/go/5080844a4ac2ba0fd0-lilas. You can bring the books to Rotary or mail them directly to my home (1914 Pembrooke Lane, Avon, OH 44011). Please feel free to share this information with anyone you think might want to help make a difference in a child's life. I thank you in advance. Welcoming Briana to Cleveland were (from left) Marjorie Corrigan, Monica and Ian Gutierrez. Pornchanok “Briana” Wongniyom is our club’s second Rotary Youth Exchange student, arriving August 22 from Thailand. She is sponsored by the Nakhonsawan Rotary Club. She has one sibling, an older brother, Parrut. She has recently completed her junior year at school. Maelys (right) with "host sister" Margaret. 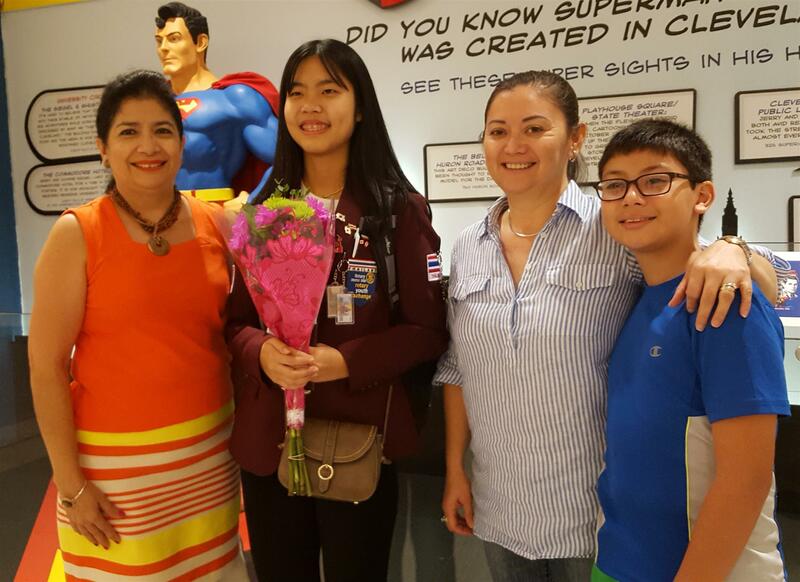 This year, our club has two Rotary Youth Exchange students - Maelys Baracand from Ucel, France, and Pornchanok Wongniyom from A.Muang, Thailand. Again this year, our club will participate in the district’s layette program to aid expectant mothers in Chinandega, Nicaragua. Vicki Foster is heading up this international service project. In Chinandega, a women’s maternity care shelter can house up to 40 pregnant women who are about to give birth. The local hospital will not admit a woman unless she is expected to deliver within eight hours. She must then leave the hospital the following day. Many poor women from outlying villages travel to Chinandega to deliver and stay at the shelter until they go into labor. If necessary, they can return there after they deliver. The shelter serves over 1,600 women per year and many of the mothers, as young as 12, have nothing to give their child a start in life. West Shore Career-Technical District Outstanding Student Award recipients were honored by the Rotary Club of Lakewood and Rocky River at its noon luncheon on March 13 at the Don Umerley Civic Center. The 14 students, top performers in their Career-Technical programs, were chosen for their exemplary accomplishments in the classroom, school activities, clubs, athletics and service in the community. Each student exemplifies traits of leadership, dedication, responsibility, caring, community involvement, and initiative. Lakewood Masonic Temple, corner of Detroit and Andrews. Friday, December 16 – 10:00 a.m.-3:00 p.m. Sorting and counting items; 6:00 p.m.–7:30 p.m. Bagging items. Saturday, December 17 - 9:00 a.m.– noon. Bag perishables and deliver food to people’s homes and apartments. Hosted by the Rotary Club of Lakewood & Rocky River, the Lakewood Chamber of Commerce, and Pillars of Lakewood. Includes: Greens fees for 18 holes plus cart, boxed lunch, dinner on the patio, contests and door prizes. Registration at 10:45 a.m. with 11:30 a.m. Shotgun Start. View Map. Hannah Sawyer from Rocky River High School and Christin Donahoe, Nastia Kurylyuk, and John McDermott from Lakewood High School each received $2,500 awards from the Lakewood-Rocky River Rotary Foundation. This $10,000 scholarship program is part of over $52,000 that the local club donates to the community each year. West Shore Career-Technical District Outstanding Student Award recipients will be honored by the Rotary Club of Lakewood and Rocky River at its noon luncheon on March 14 at the Don Umerley Civic Center. Today, we continue a tradition that started in 1946 when our member Firmin Deibel had the wonderful inspiration to start a speech contest to engage students from our communities. The winner selected from among our contest's semi-finalists will represent our club at the Rotary District 6630 competition on Saturday, April 2, at Aurora High School. Our winner will also give his/her speech at our annual Awards Night on Monday, March 21, from 5:30 to 8 p.m. at the Beck Center, when we recognize and celebrate student achievement in speech, music, and the visual arts. 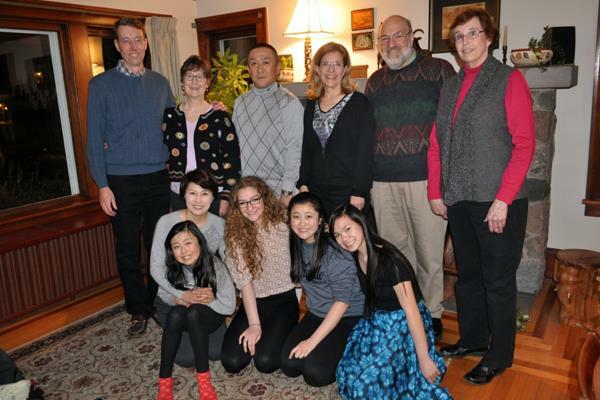 Our Rotary Youth Exchange host families welcomed Kaho Mochizuki's family from Japan on February 15. Front row (from left): Kaho's mother, Yumi, with sister Hikari; first semester host sister, Erica Farr; Kaho; and current host sister, Grace Sangree. Back row: David and Laura Sangree, Kaho's father, Kaishun; Mimi and Tony Felice; and Sue Donaldson, Kaho's counselor. Later that week, Kaho's family traveled to California to visit family friends and area attractions before returning to Japan. The Mochizukis are currently a Rotary Youth Exchange host family for a young woman from Tennessee while Kaho is here in the U.S. It is with sadness that we acknowledge the passing of long-time member Phil Alexander. Phil proudly practiced dentistry for 50 years in the greater Cleveland area. We noted his attendance at our last meeting on February 8 when Bob DiBiasio was our speaker. Some undoubtedly remember his volunteer work at the Cleveland Metroparks Zoo and his delight in presenting a program telling us about performing dentistry on the animals there. Aside from his love of family and his profession, he was an avid golfer and life member of Westwood Country Club, a volunteer at the First Tee of Cleveland, the Cleveland Museum of Natural History, and the Cleveland Sight Center. Memorial services have not been scheduled. Swimmers or those wishing to make a pledge should contact Harlan Radford, Rotarian and event coordinator, at harlanrjr@yahoo.com. The recreation facility is located at 21012 Hilliard Blvd. Last year, nearly $3,000 was raised for the two organizations. Eighteen swimmers participated. Additionally, there were 10 volunteers who provided supervision and registration sign-in and students from Rocky River High School who served as life guards and received service hours credits. Girls with Sole is a Rocky River non-profit that is committed to providing programs to empower the minds, bodies and souls of girls who are at risk or have experienced abuse of any kind. Rotary is a worldwide organization that fosters the ideal of service, assisting people locally and across the globe. Additional information on these two organizations can be found at www.girlswithsole.org and www.lakewoodrockyriverrotary.org. The 16 students, top performers in their career-technical programs, were chosen for their exemplary accomplishments in the classroom, school activities, clubs, athletics and service in the community. Just imagine, a beautiful summer evening, right on the lake, live music, food and refreshments, and lots of fancy cars, trucks, and motorcycles. 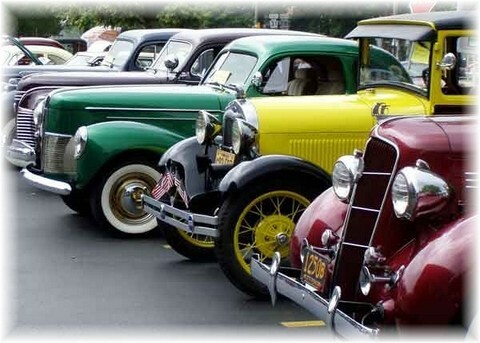 Sponsored by the Rotary Club of Lakewood and Rocky River, a car, truck, and motorcycle cruise-in is set for July 31, 5:30 to 8:30 p.m., at Edgewater Park’s Lakefront Reservation, Lower Area. The event is part of “Edgewater Live” sponsored by the Cleveland Metroparks. Enthusiasts are encouraged to bring their cars, trucks and motorcycles. There is a $20.00 suggested donation for those who choose to participate, but any amount will be appreciated. The Rotary Club of Lakewood and Rocky River awarded four college scholarships at its weekly luncheon on Monday, June 9. Graduating seniors Teodora Bodeo and Emma McGorray from Rocky River High School and Irina Vatamanu and Neelab Abdullah from Lakewood High School each received $2,500 awards from the Lakewood-Rocky River Rotary Foundation. The scholarship program is part of over $50,000 that the club donates to the community each year. With Phil Ardussi, president, Rotary Club of Lakewood & Rocky River, are speech contest winners (from left) Natalie El Dabh, first place, Rocky River High School; Anna Weixel, second, Rocky River; Isabella Olivio, fourth, Rocky River; and Mary Kate Campbell, third, Magnificat. Winners of Rotary’s annual Speech, Music, and Visual Arts Contest were honored at an awards ceremony April 7 at the Beck Center for the Arts. Sponsored by the Rotary Club of Lakewood & Rocky River, the competition showcases the incredible talents of students attending one of five high schools – Lakewood, Lutheran West, Magnificat, Rocky River, and St. Edward. West Shore Career-Technical District Outstanding Student Award recipients were honored by the Rotary Club of Lakewood and Rocky River at its noon luncheon on March 10 at the Don Umerley Civic Center. A portable year-round greenhouse that will allow Magnificat High School students to expand on the school’s highly successful Seeds of Service project will be funded as the result of a $5,000 grant from the Rotary Club of Lakewood and Rocky River and Rotary District 6630. Over $46,000 from the Lakewood-Rocky River Rotary Foundation will be used to provide scholarships, recognize student achievement, purchase dictionaries, and fund grant requests made by Lakewood and Rocky River community organizations. Super Typhoon Haiyan struck the Philippines Nov. 7, Rotarians and ShelterBox USA have been responding to the disaster providing funds and tangible relief to assist the thousands left homeless. Called the most powerful storm ever to make landfall, with winds of 195 mph and gusts up to 235 mph, Haiyan is reported to also be the largest storm ever recorded. The storm was over 300 miles wide, roughly equal to the distance between Boston and Philadelphia. Scholarship winners, with Rev. Jon Fancher, scholarship committee chair, are (from left) Joseph Czechanski and Amira Nasrallah (both from Lakewood High School) and Amy Lam and Robert Hendricks (both from Rocky River High School). Over $40,000 from the Lakewood-Rocky River Rotary Foundation will be used to provide scholarships, recognize student achievement, purchase dictionaries, and fund grant requests made by Lakewood and Rocky River community organizations. The Rotary Club of Lakewood and Rocky River has received approval for matching grants to help fund its project to outfit a Shree Chandeswory Higher Secondary School, the only high school in Nala Village, Kavrepalanchowk District, Nepal, with an updated science lab. Winners of the Rotary annual Speech, Music, and Visual Arts Contest were honored at an awards ceremony March 25 at the Beck Center for the Arts. Sponsored by the Rotary Club of Lakewood & Rocky River, the competition showcases the incredible talents of students attending one of the five high schools – Lakewood, Lutheran West, Magnificat, Rocky River, and St. Edward. Four graduating seniors were awarded scholarships by the Rotary Club of Lakewood and Rocky River at its luncheon meeting on June 4. The Lakewood-Rocky River Rotary Foundation funded the scholarships. Mark Moskwa and Alaina Valkoff from Rocky River High School and Claire Bierge from Lakewood High School received $2,500 awards; Lakewood High School senior Michael Warren received a $1,000 award. In addition to outstanding academic achievement, the four were chosen for their extracurricular and community involvement. Rocky River High School senior Connor Hooper placed second in the Rotary District 6630 Four-Way Speech Contest on March 31 at Aurora High School. Winners of the Rotary annual Speech, Music, and Visual Arts Contest were honored at an awards ceremony March 27 at the Beck Center for the Arts. West Shore Career-Technical District Outstanding Student Award recipients were honored by the Rotary Club of Lakewood and Rocky River at its noon luncheon on March 12 at the Don Umerley Civic Center. Over $37,000 from the Lakewood-Rocky River Rotary Foundation will be used to provide scholarships, recognize student achievement, purchase dictionaries, and fund grant requests made by Lakewood and Rocky River community organizations.